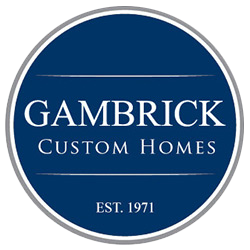 When building a new home with Gambrick, you will be an active participant in all aspects of the home building process. This ensures you end up with “YOUR” dream home. Blueprints and house plans for your new home spell out every detail of how it should be built. Study the floor plan with us and think about how you will use each room in the house and what modifications you might want to make. This will save you time and money so you won’t have to change things during the construction process. 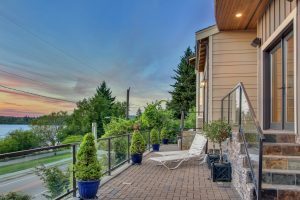 If you keep some of the following things in mind while planning the construction of your new home you’ll have a better idea of what to expect once construction begins. 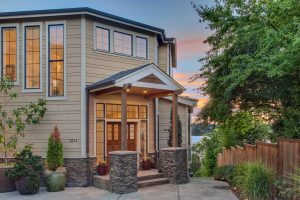 These are some things to consider when building a new home. Before you start building a new home, Gambrick Custom Home Builders can help you run some numbers to determine whether you can afford to build the home you want. The numbers include the costs of construction, permits, plans and engineering costs, as well as other related calculations. Building a new custom home in NJ can be expensive but we can help you figure out all the costs to find out if you can afford to do it. Once you’ve determined building a new home is something you can afford — head to the bank to arrange for financing. Keep in mind that home construction lending is a little different than regular mortgage financing. First you’ll need a home construction line of credit that will be used to pay subcontractors and suppliers who perform work and provide supplies. Once your house is constructed, you will need a residential mortgage to pay off the construction line. Generally a construction loan is interest only until you obtain a CO and move in. You also need to own the land we’ll be building on. No matter how much you love the house that you’re building, it’s unlikely that it’ll be the last home you’ll ever own. Knowing that, you should be mindful of its potential resale value. Don’t add so many upgrades that you overprice your home for the neighborhood. You generally don’t want to be the diamond on the block. And don’t choose anything too out of the ordinary. Ask yourself if the features you’re considering installing are likely going to appeal to others. We can help you design and build a new home that’s perfect for you and for resale. Take note of where the electrical outlets and light switches in the home will be located. Building a new home allows you to do it right the first time. This is also important outside the home to make sure you have electric where you’ll be spending time and doing things like hanging Christmas lights or vacuuming a car. Do you want your laundry room on the main floor or upstairs with the bedrooms? Will your laundry room double as a mudroom? Do you want built-in shelving or cupboards? Is your washer dryer stackable. Do you need a folding table. What else will be in the room. For example is your laundry room also the utility closet with a hot water heater. Wide hallways make a home feel welcoming and just a few inches can make a big difference! When building, consider how wide you want your hallways, but be aware that any square footage you add to your hallway will decrease your square footage elsewhere. An average hallway width is around three feet wide. Think about what outlets and faucets you’d like to have outside. Do you need an outside outlet or a light switch for your Christmas lights? Do you want an additional hose bib in your side yard? Or maybe a natural gas hook up on the back patio for your grill? Discuss options with us and make sure the outside of your home is set up to work well with your lifestyle. Ceiling height does as much for the open feel of a home as the square footage does. Lofty ceilings offer a spacious feel as well as an opportunity for more windows and light! Check the number and size of the closets in your house plans when building a new home. Small things like this are easy to overlook but you’ll notice them once you move in. Also, consider if you’d like to include built-in bookcases and storage. Not only are built-ins functional, but they make a home look and feel more custom. Consider the square footage of walk-in closets and cupboard space in the kitchen and laundry room, now is the time to make changes if you need to. Make a list of your priorities. Are wide hallways a must have? Are you in love with cherry kitchen cabinets? Is the decorative tile on the floor of your walk in shower a must have? What type of flooring have you always wanted? Do you desperately need a few glass kitchen cupboards? Separate your list into three columns. Must-Have, Really Want and Would be Nice. This way you have in mind what you will and will not compromise on. Gambrick will work with you to fit in as many of your must-have options into your budget as possible! Contact us to scope out a few of the custom homes we’ve built across the Jersey Shore and learn more. Our home team is available to answer your questions online, or at 1-732-892-1386.